May is comin’ . . .
I’m going to go ahead and dub winter season as spinning season in the Capital Region. There are lots of us who ride outside but many of us are spending our time indoors on a stationary bike. Today I spent two hours Spinning; grinding my teeth, slicing my legs like on a meat slicer, and sweating absolutely all over the bike (feeling bad for the person after me). This is Spinning – sometimes easy and sometimes hard. After I got out of the gym I took a look on the Times Union Bike Blog and came across a description of Spinning by Jay Holick. As I looked around, I discovered Spinning can actually be a very motivating workout for cyclists of all levels. In 1991 John Baudhuin, President and CEO of Mad Dogg Athletics, teamed up with John G, who had spent time training for a cross-country cycling race. He was a new dad at the time and found it hard being away from his family to train. That experience sparked the idea for the Spinner bike and the Spinning program. Spinning could provide a safe place—away from roads and overly aggressive group riders—to build strength and stamina on the bike. Now the Spinning program is the global leader in indoor cycling training, education and equipment. What should you expect at a Spinning class? Both the equipment and the program are standardized, so you take expect the same format whether you take a class in New York or California. Workouts are 40 minutes long and all classes incorporate music to help motivate and inspire riders. Basic movements—from seated flats to standing climbs—are used to mimic outdoor riding positions, and instructors use universal cues to prompt their classes for changes in movement and hand position. Away from external distractions, Spinning classes allow the rider to focus on the workout, making it a great place to build endurance and confidence on the bike. Spinning® is also an incredibly efficient cycling workout, especially when you’re crunched for time. Who wouldn’t want to…? The only downside might be the addictive nature of the classes. “Once you start seeing results, that’s what will keep you coming back for more,” Anderson says. What about those intimidating instructors? If you need to back off, Anderson suggests lowering the resistance to an easier cadence. She compares it to yoga where practitioners are encouraged to rest in child’s pose if they need a break. The instructors’ function is to direct and motivate you. So if you’re uncomfortable in a class or feel the pace is not one you care for, you should find a Spinnning class and instructor that suit your individual needs. Two days ago I was on a six mile ride at around 6:45 am. It was about 20 degrees Fahrenheit. Around 4 miles into my ride I noticed my hands were so cold. I started to wonder if my hands were cooler than the air temperature. According to the information below – my hands did feel colder and I wasn’t far off frostbite! Here’s a chart from the National Weather Service to help you understand the temperatures your body will be facing while riding. 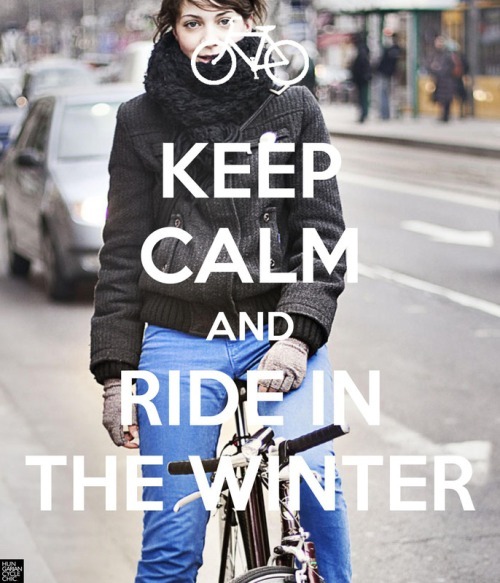 Remember windchill effects while riding. Make sure you keep conscious of frostbite and how easy it can settle in. We don’t want to see anyone loose their fingers or toes! You can read our article here about layering properly.